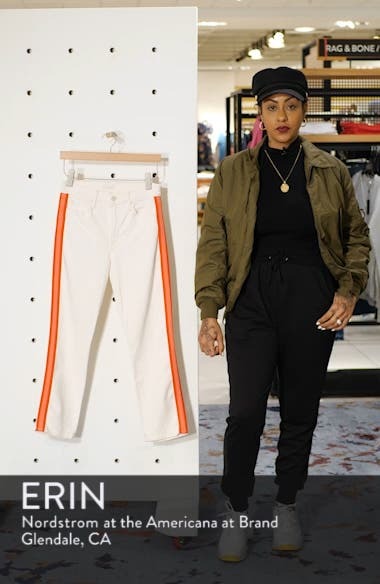 Sporty racer stripes pop at the sides of figure-sculpting cropped jeans that fit a little looser around the ankles than typical skinnies. Choose a sizeIf measurements are between sizes, order one size up. 23=000, 24=00, 25=0, 26=2, 27=4, 28=6, 29=8, 30=10, 31=12, 32=14, 33=16, 34=18 (14W). Waistband sits at or above navel.